DESCRIPTION – 2812 Ivory - MADE IN THE USA. 3/8 Inch Flat White Raschel Lace. 100% Polyester. DESCRIPTION - .375 inch Flat Raschel Lace, Silk White. 100% Polyester. MADE IN USA. DESCRIPTION – 2971 Ivory - MADE IN THE USA. 1/2 Inch Flat White Raschel Lace. 100% Polyester. DESCRIPTION – MADE IN THE USA. 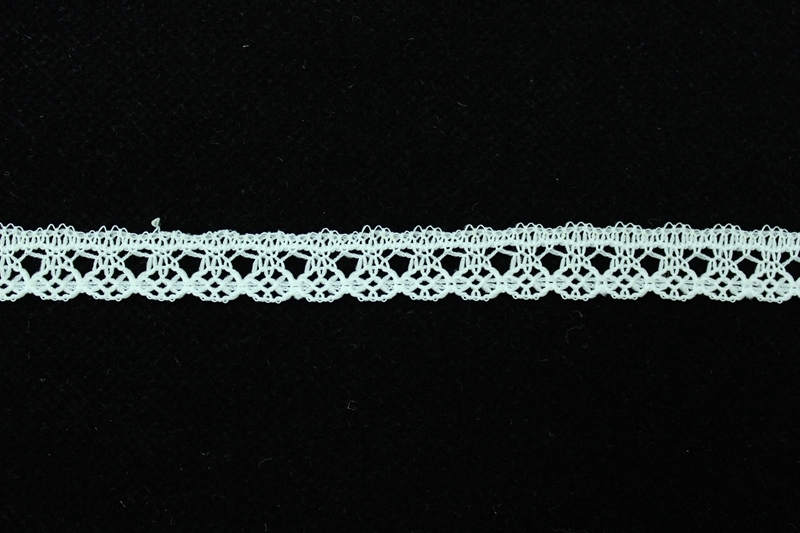 1/2" Flat Raschel Lace, 100% Polyester. DESCRIPTION – MADE IN THE USA. 3/4" Flat Raschel Lace. 100% Polyester. Item No. 700 Ivory - MADE IN THE USA. 1 Inch Flat Raschel Lace. Made of 100% Polyester.